The Petrie Collection from Crate and Barrel. After the trees have shed their leaves and the mighty trunks remain, we marvel at the sculptural shapes left behind. We felt the same way about this mid-century modern chair and ottoman set. The Petrie collection is offered in 8 different and unique colors, but we really loved the Bark upholstery they offered, especially this time of year. 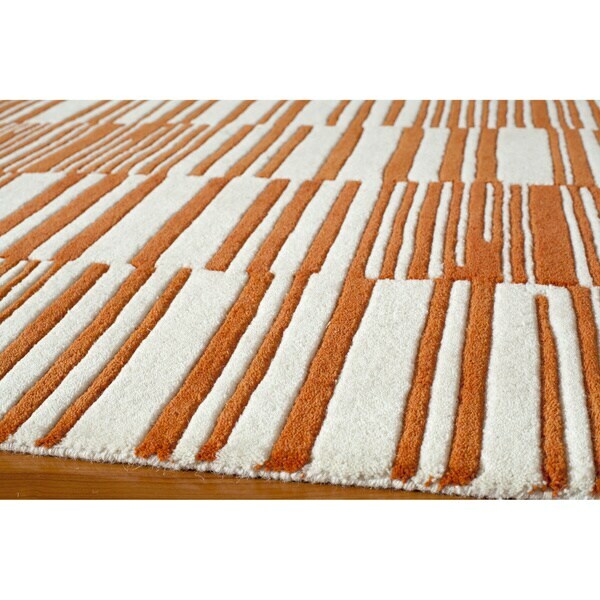 The brown hues really come to life and motivate us to bring the colors outside in. Whether you’re looking for just one more piece of furniture to add to your living room, or to update all of your pieces, the Petrie collection would pair nicely with any neutral colored styles you may already have in your home. This cute, fun lamp is a great way to “brighten” up any room. The dormant tree works perfect for this time of year, and will continue to throughout the colder months. The crisp white shade will take us smoothly into the colder months. 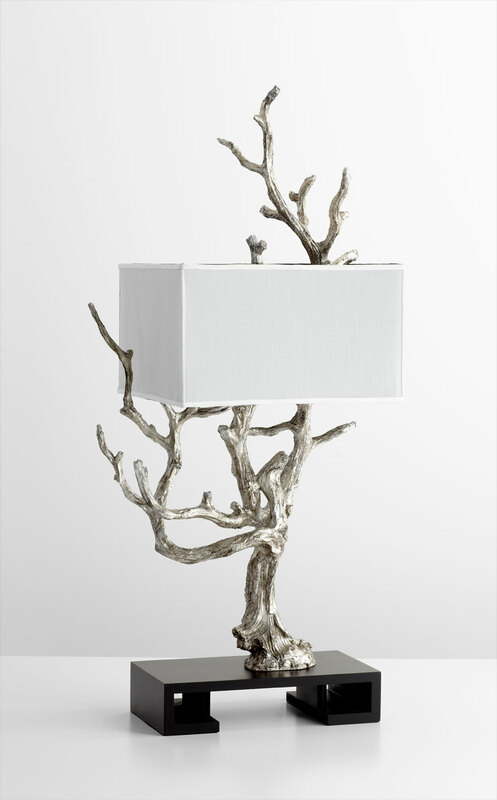 The metallic finish takes the traditional tree and makes it feel new, and modern. The minimal chrome base rests a heavy concrete top that appears to float right before our eyes. This table is modern, unique, and striking. As the seasons change, this snow-covered table will keep you in style throughout the winter months. The addition of concrete rather brings in the look for the urban lifestyle. While it may appear to be overly large, at 30 square inches, it will actually fit most any living arrangement. 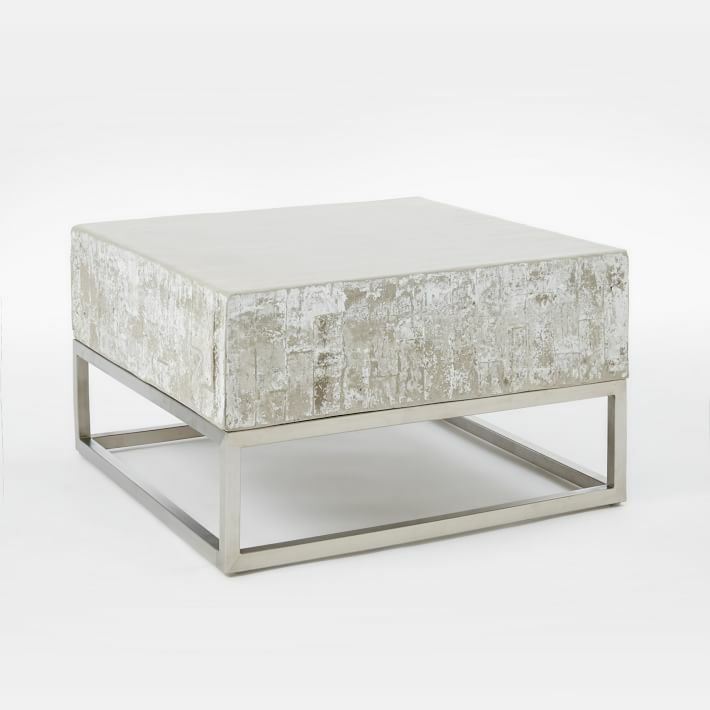 A center table is intended to bring a room together and this simplistic yet unusual coffee table does just that. This entry was posted in Interior Design on September 17, 2016 by admin. Wallpaper – we’re just hangin’ and getting pasted! Fieldstone Cabinetry offers endless combinations of wood, styles and finishes. Each piece is handcrafted in the U.S. and backed by a lifetime warranty.